I’ve written before about whether to sell as a fixer or invest the money to remodel and this article digs in from a different angle to help you with cost vs resale value for remodeling projects. But I bet you will see the same flaw I did. Let’s get into the details here. Hanley Wood is a company serving the information, media and marketing needs of the residential, commercial design and construction industry and is a hub of business intelligence and data-driven insights. 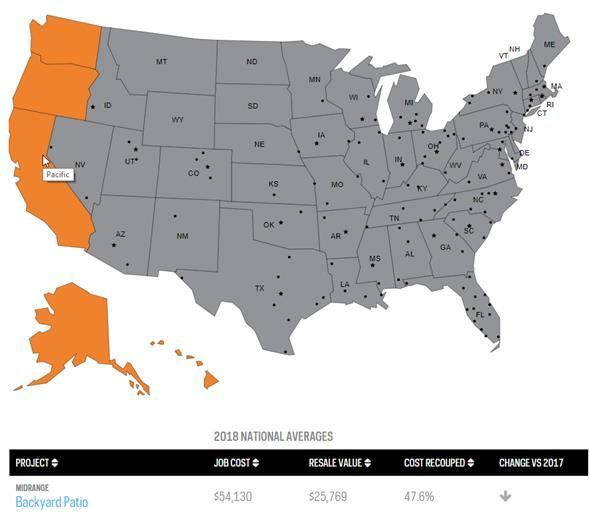 They came up with this interactive website for different parts of These United States to study the following projects in terms of job cost, resulting resale value, cost recouped and any changes from their same study in 2017. Here’s the list of projects in their cost vs resale value for remodeling projects. At the end of the list, I will address the flaw as I see it. The seller invested nearly $300,000 but ended up profiting almost $250,000 on that investment. It’s not ever as simple as just following the “averages”. Let’s talk about it more. If you’re thinking of selling your house and contemplating fixing it up or selling as is, then understand what the circumstances and conditions are that sometimes make it worth investing the money and sometimes not making it worth investing the money.